Bonjour à tous ! This month I have been given the title of ‘Local and Regional Culture and Characteristics of your Country’ which is a perfect title for where I’m living now. Perfume Capital of the WORLD! 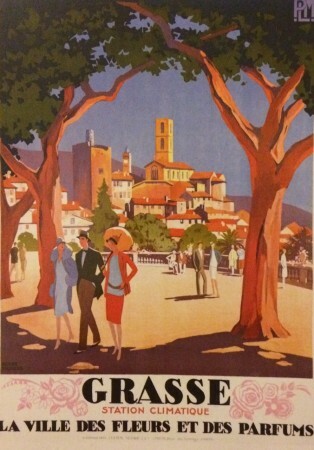 Grasse is extremely significant as it is the perfume capital of the world. Throughout the town everything is centred around perfume and there are lots of perfume museums and factories for you to explore. The main marques (brands) that are sold in Grasse are: Molinard, Fragonard and Galimard. Along with the many museums and factories, there are also many shops that sell their perfume and soaps. There is even a place where you can create your own perfume! Grasse was also made a Ville d’Art et d’Histoire which means a town of art and history. Here is a photo of one of the postcards I have bought from Grasse. On it it reads ‘Grasse, the town of flowers and perfume’. When talking about the culture in France in a regional context, living in the South of France is very different to living in the South of England. First of all, the people here appear to be a lot more active (probably due to the better weather!). There is a huge promenade in Nice named ‘Promenade des Anglais’ and it runs right along the seafront. Whenever you go to Nice you can be sure that you will see people running, jogging, skateboarding, cycling and even rollerblading along the promenade. There are equally large promenades across the French Riviera in places such as Cannes and Antibes where you will see lots of people (young and old) running or cycling. The great thing about Grasse is that it is 40 minutes from the beach in one direction and 1.5hrs away from ski resorts in the other direction. When I ask my teachers about their weekends or days off, they often casually drop in that they’ve been skiing. This is yet another way that the people here stay active. You can’t talk about the culture of France without talking about the food. My last blog post was solely about food, so if you want more information on the topic, check that one out. One thing I’ve really noticed about France is that the French love a good market! Markets usually happen at least once a week and sell all the fresh produce you could ever want. Lots of the food is bought from the markets which is very different to the UK, where we get most of our food from supermarkets. Quite often the only things open at lunchtime are restaurants and cafés as certain shops shut and open up again in the afternoon. This can be a pain sometimes when your only free time is during your lunch break! However, Sundays are worse as everything shuts. Certain supermarkets will be open until 12/12.30pm but after that there’s no way to get your shopping done. With food also comes wine. The French are known for loving their wine, and its true. They often drink with a meal (and in some schools the teachers will still have a glass of wine with their lunch). There are lots of interesting varieties of wine that come from different regions. They also have certain days of celebration surrounding it, for example: the ‘Beaujolais Nouveau Day’ which took place on the 17th November last year. It is held on the third Thursday of November to celebrate the first wine of the season. Mealtimes are also slightly different in France. I would say that French mealtimes are a compromise between UK and Spanish mealtimes (which are usually very late). Where I am staying they seem to have lunch around 12pm-2pm and dinner around 7pm-8pm. For someone who has always eaten dinner at 6pm on the dot, this has taken some getting used to. Also, certain restaurants and cafés won’t serve you lunch if you turn up too late as they serve food at set times, so you can’t just rock up at any time expecting to be served (although this is not the case everywhere). Having been working in a school for the last six months, I have come to understand a lot of the differences between here and the UK. For a start, the school hours are a lot longer. Lessons usually start at 8am and continue to 5pm-6pm. However, their lunch breaks are often between 1hr and 2hrs, so they are definitely longer than the 45mins I used to get at my secondary school. However, the children have a half day on Wednesdays meaning they get to go home at 12pm/1pm. French students don’t have to wear uniforms. This is interesting as they are free to wear what they want, yet they all dress fairly similarly. I would say 85% of the playground wear bright white Adidas Stan Smiths. Furthermore, piercings, brightly coloured hair and jewellery are all allowed (certainly in the two collèges I work in anyway). Again, this is a huge contrast to my school back home, where you would get sent home for wearing the wrong style of black trousers. French fashion is fairly similar to the UK when you look at teenagers from both places. However, the French are known for their sophisticated style and it shows. The French Riviera is a place known for its wealthy residents, and this is evidenced in the types of clothes you see when walking down the streets of Nice or Cannes. Both cities have stretches of shops including brands such as: Chanel, Dior, YSL, Ralph Lauren etc. However, on the other hand it is very common to see people walking about in tracksuit bottoms (or joggings). As mentioned above, children don’t wear uniform in France, and it is not unusual for students to turn up to school in a full tracksuit. One major difference between the UK and France is the way in which people greet each other. In France people kiss each other on the cheeks to say hello/goodbye/thank you etc. It is very common and almost everyone does it regardless of gender. As you can imagine, coming from England I’ve suffered quite a few awkward moments because it (i.e. going for the bises when the other person wasn’t/ not going for the bises when the other person was/ going the wrong way and nearly kissing the person on the lips – you name it, I’ve done it). Also, it is worth noting that in different regions in France, the number of kisses changes and as does the cheek you’re supposed to start on. The process is so complicated that there is actually a website dedicated to telling you just that (called combiendebises.fr). Where I live in the Alpes Maritimes region, it is two kisses. 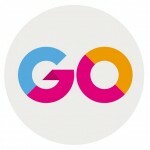 Here is the image from the site: http://combiendebises.free.fr/. You can see how many kisses per region! As you can see, although France is fairly similar to the UK in terms of culture, there are still some subtle differences that take some time to get used to!